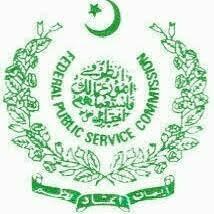 Lahore, Federal Public Service Commission Lahore has issued the FPSC CSS Psychological Test Schedule 2018 for the Lahore center. The candidates will note the date and time of their test as the FPSC CSS Psychological Test 2018 will be started from 01-3-2019 to 12-3-2019. The candidates will note their roll no on the particular dates and they will appear for the FPSC CSS 2018 Psychological Test will be held in the morning time from 08:30 am. The candidates will read the instructions and they will follow them during their psychological test.